The National Minimum Wage, which is now law, will create a platform for stakeholders to strive towards reducing inequality. This is according to a statement issued by the presidency on Monday night - officially confirming that President Cyril Ramaphosa signed into law the National Minimum Wage Bill. The rate of the wage is R20 per hour or R3 500 monthly, depending on the number of hours worked. In its statement the presidency called the signing of the bill an "historic precedent" as it protects low-earning workers and would provide a platform to reduce inequality in society and will decrease "huge disparities" in income in the national labour market. "The National Minimum Wage Act will come into force on a date to be determined by the president by proclamation. "The act sets a floor of R20 per hour for the majority of the country’s workers, which will raise the earnings of an estimated six million South Africans – more than half of the labour force - who earn below this level at present," the statement read. The National Minimum Wage will be phased in for farm workers, forestry workers, domestic workers, welfare sector and care workers, as they are vulnerable to disemployment, the presidency explained. "The president’s signing of the new law comes four years, to the month, after the National Economic Development and Labour Council (Nedlac) first began deliberations," the presidency stated. Nedlac engaged on the protection of low-paid workers, fair and effective competition in the labour market, and the challenges of labour instability, caused by violent strikes and the duration of strikes, and wage inequality. 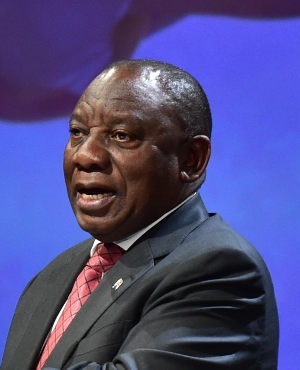 Ramaphosa has also assented to the Basic Conditions of Employment Amendment Bill and Labour Relations Amendment Bill which were negotiated by Nedlac at the same time as the National Minimum Wage. "The president has also underscored that while national minimum wage will not end income inequality, it provides a firm and unassailable foundation – which is agreed to by all social partners – from which to advance the struggle for a living wage," the presidency concluded.